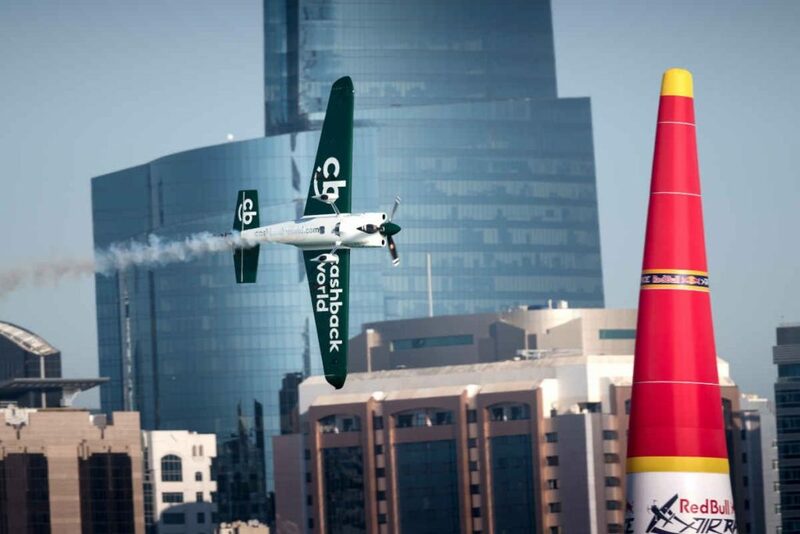 Yoshihide Muroya of Japan, who was the 2017 World Champion of the Red Bull Air Race, today took the poll position in the series’ 2019 season opener in Abu Dhabi, UAE, after clocking the fastest time at 53.024. Canadian Pete McLeod took second place in qualifying at 53.240 and the United States’ Michael Goulian earned third at 53.400. Among the 14 international Master Class pilots schedulet to compete in each of this season’s eight races, the three fastest qualifying times are critical in 2019, because, for the first time since 2010, points are awarded in Qualifying: three points for the fastest, two for second place and one for third. The winner of tomorrow’s race, taking place in less than 24 hours, will receive 25 points. Based on a post-race technical inspection, however, the Race Committee decided not to award McLeod two points due to the fact that one magneto was out of the limit on his raceplane. Organizers explain it was apparent that the issue was not intentional, and so McLeod maintained his second-place ranking. Muroya, who last year placed second in Abu Dhabi on the same racetrack, has not won a race since he clinched the 2017 overall title. Defending World Champion Martin Šonka of the Czech Republic finished fourth in today’s qualifying, exactly a half second behind Muroya. The entire field of 14 pilots were separated by just 1.568 seconds. Muroya also captured the season’s first DHL Fastest Lap Award on Friday, which is presented to the pilot who clocks the fastest single lap of the two-lap qualifying runs. At the end of the season, the pilot with the most DHL Fastest Lap Awards will win the DHL Fastest Lap Trophy.